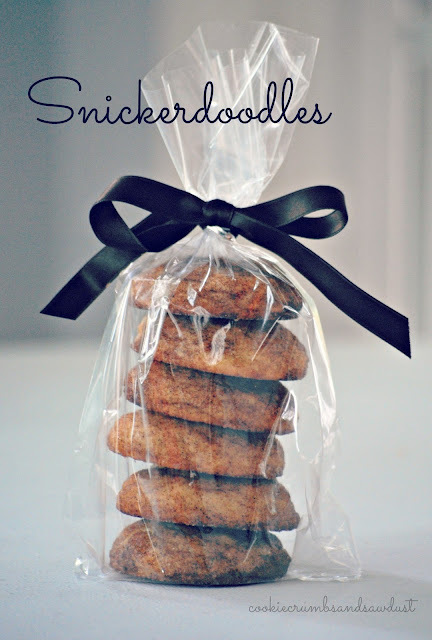 Can you believe I never ate a snickerdoodle until just a few years ago? We had just moved cross-country, and my pared down pantry was vacant of all liquids. I wanted to make to make cookies, but with three little kids at home, I didn't want to run to the grocery store just to purchase vanilla. So after scouring my family cook book, I came across this recipe from my sweet sister-in-law. No vanilla needed! It was perfect. After years of baking them, I've adapted it to the recipe below. These make perfect little gifts or a post-lunch sweet. Give 'em a try. In a medium bowl whisk together the flour, cream of tartar, baking soda, and the salt. Set aside. In a separate bowl, cream the butter and sugar until light and fluffy. Add the eggs. Scrap down the sides of the bowl, and add the whisked dry ingredients. Beat to combine. In a small bowl, combine the reserved 1/4 cup sugar and cinnamon. Shape the dough into balls and roll in sugar mixture. Place balls about two inches apart on the baking sheet. Bake 8-10 minutes or until set. Let cookies sit five minutes on the baking sheet on a wire cooling rack before transferring to a wire rack to finish cooling. Makes approximately 41/2 to 6 dozen cookies. Bakers Tip: I like to use a cookie scoop to get uniform size cookies. Yum! One of my favourite cookies... I just love the cinnamon flavour. I love snickerdoodles, but haven't made them forever. I think I'll give them a try this week! 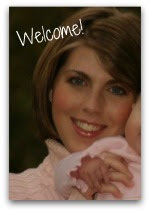 I'm a new follower stopping by from Tasty Tuesday's link up. Have a great week!